Error "File Access is Denied When Importing PST file"
Microsoft Outlook has definitely mitigated the process of importing PST files and address book contacts with the feature known as Import and Export wizard. This feature primarily walks down to alleviate the importing process. However, a recent process of importing the PST file showed an error. Properties for this information service must be defined prior to use. On clicking further on the 'OK' tab, I received a dialog box for again selecting the PST file from the CD-ROM. What can be the cause for such an error? Let us find the reason that is responsible for the occurrence of error. On trying to figure out the cause of this error, it was found that the error occurs because when we burn any file to a CD-ROM with the aspect of long-term storage. The outcome is that the file that is created has the attribute as read-only and to your worst nightmare, there is no way that, a user can change the mode of the file on CD-ROM. For importing the PST file into Outlook, you ought to have a write mode access on the PST file. However, on working around certain solutions it was revealed that you could avoid the occurrence of such type of errors. Let us know about it in details. In order to resolve the error that occurs when importing a PST file from Outlook, you can try out two different methods. If the first method does not work out then try executing the second one. 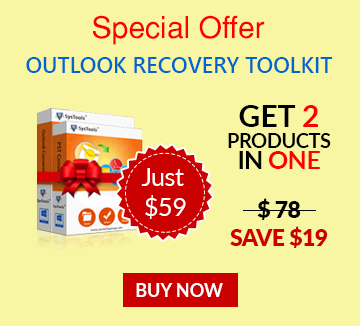 Copy the Outlook PST file from the CD-ROM and save it on the hard drive of the system. Alternatively, you can copy the file to any other media. After following the above steps, the import process of the PST file should execute successfully. If not, then try the second method. Chances are there that the PST file is not imported to Outlook because it is corrupted. To remove the traces of corruption scan the PST file with the help of Scanpst.exe utility before importing it to Outlook. The tool will efficiently remove the corruption traces that exist in the PST file. It must be remembered that even if you are importing the PST from another version, then it should not create any difficulty in the importing process. Although in case of password-protected Outlook data files, you need to provide the password for importing the files into Outlook.